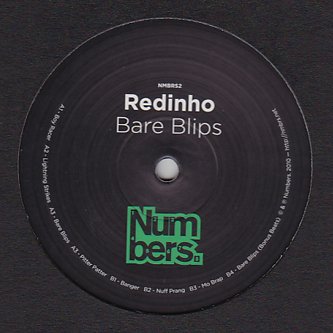 Hyper-efficient future styles from Numbers' secret weapon, Redinho! 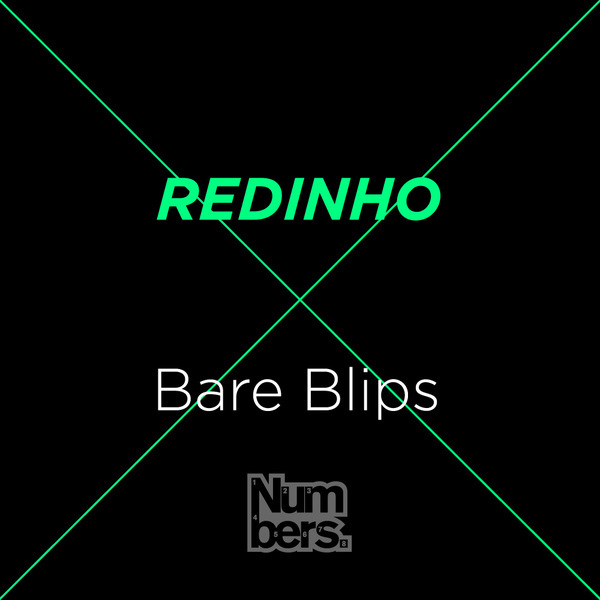 'Bare Blips' is his long awaited debut, following months of hype built from Radio 1 guest slots, props from Anthony Shakir and regular rinses from Hudson Mohawke. It's fair to say that the scope of these six tracks broadly defines the aesthetic of Numbers, combing moments of blissed electronic melancholy like 'Pitter Patter', with screwface grime killers on 'Banger' and bold future lunges like 'Nuff-Prang', sounding like Timeblind in a tussle with AFX and Sherard Ingram. On a screwed ragga-tip 'Mo-Brap' gets the juices flowing, but best of all is the killer slowfast bounce of the title cut, designed for stylish crunk strafes up in the club. A very smart record. TIPPED!